Our service center is the only service center in entire northern India that has in-house testing facility of Transmissions at full Load. We continuously strive for excellence and because of this, our clients can install any of the transmissions with confidence and with absolute surety. We can custom rebuilt transmissions or supply re-manufactured transmission from our stock and keep equipment in operation with minimum downtime. Alternatively, we can also offer 100% availability of spares for all the prevalent model from Our Stock. A Setlite Re-manufactured Transmissions is subjected to our certified re-manufactured process. In our Services center we overhaul and rebuild Allison Transmission Service, Twin Disc Transmission Service, ZF Transmission Service, Komatsu Caterpillar and Clark Transmission Service. All these transmissions are overhauled by a team of Factory Trained Engineers. Our Overhauled transmissions are covered under standard warranty conditions. We also provide Recon Exchange Transmissions. In this scheme we take back old transmissions and provide the rebuilt transmissions. This saves downtime of the equipment. We also provide Float Transmissions at site to our clients at reasonable prices. Wheel Loader 950 G, 966G. Setlite Engineers Limited is one of the renowned spareparts and service provider for wheel loaders, dumpers, construction equipment of various brands like terex construction equipment, hitachi construction equipment and other heavy equipment along with transmissions, OTR Tyres, filters, self starters, alternators and many more. we offer quality reconditioned transmissions (Allison, Clark, ZF, Twin Disc, Spicer etc) and engines that are rebuilt by factory trained personnel. Our products are preferred by our clients due to our quality intensive stock and assurance of original products. We upgrade our products in accordance to the changes done in O.E. sector. The constant response to change has made certain that our products are in accordance with the latest trends and developments in the market. We have maintained high standard of work and maintain business relations with renowned companies, is one of the renowned traders & exporters of HEMM Spares with transmissions, OTR Tyres, Undercarriage, filters, self starters, alternators and many more. 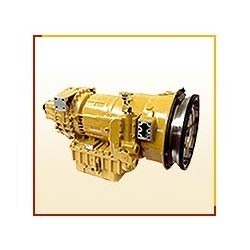 we offer quality reconditioned transmissions (Allison, Clark, ZF, Twin Disc, Spicer etc) and engines(Cummins and Komatsu) those are rebuilt by factory trained personnel. Our products are preferred by our clients due to our quality intensive stock and assurance of original products. We buy spares from authorized master distributor and this is a reason and confidence for our clients to rely on us. we have the units, parts and expertise to keep your machinery working.